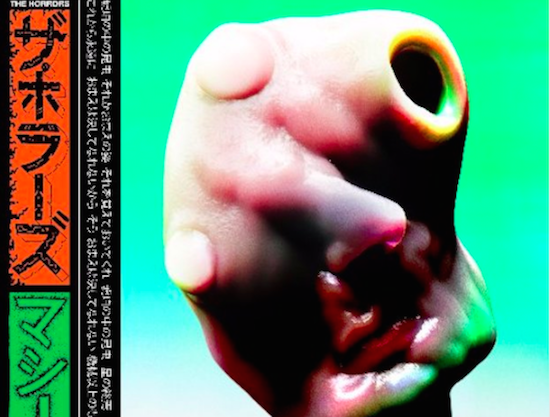 Following the unveiling of The Horrors' new album artwork, which you can see above, earlier this week, a number of people online noted similarities with the past work of Arca's visual collaborator Jesse Kanda. Recently taking to Twitter however, Kanda's response was more measured than expected after a number of people noted influences in his work from artist Chris Cunningham. In a statement posted on the social media platform, Kanda wrote: "At first I felt a bit territorial. And since people were defending my work, I unsympathetically thought it amusing to watch. But when I started seeing a few people accusing some of my work being just as similar to some of Chris Cunningham's work, who had collaborated with The Horrors before, my stance shifted... and I am so grateful for this." He continues: "If I hadn't discovered [Cunningham's] art in my adolescence, I wouldn't have made some of my art the same way. For sure, So those people flipping the mirror back at me allowed me to simultaneously feel how maybe The Horrors are feeling about the artwork." Signing off the statement, which you can read in full here, Kanda says: "Wish The Horrors, the artist who made their artwork, Chris Cunningham, and everyone commenting the best and respect."